What Is the Takamine GB7C? What’s Included with the Takamine GB7C? Conclusion: Should You Think About the Takamine GB7C for You? Takamine has long been known for producing high-quality guitars and they were the first to design the preamp-equalizer component. Because of this and because of their commitment to creating reliable and great sounding instruments, many musicians turn to them when they are looking for new guitars or want to start playing. The Takamine GB7C is an attractive guitar that, thanks to its ability to stand up to aggressive strumming and the way it shines when used in softer fingerplay, is a great option for many musicians and can be used by players of all abilities. This great guitar is part of the Takamine Pro Series and is a combination of incredibly well-seasoned wood and modern woodworking techniques that results in amazing guitars and impressive sound. Musicians who are worried about the appearance of their guitars will really appreciate the solid cedar used for the top as well as the rosewood sides and back. The woods used in the construction of the Takamine GB7C weren’t chosen haphazardly, however, and all contribute to a great sound. With a mahogany neck that is durable and dovetailed to the body of the guitar, this guitar is suited to all playing styles. The incredible design and attention to detail used in the creation of the Takamine GB7C make it a great option for guitarists of any skill level but the high price tag can be a little off-putting to some people. Any guitarist who is looking for a deep, full sound when he or she is performing will appreciate the way that this Takamine sounds. The dreadnought design and incredible Palathetic pickup offer plenty of raw power for musicians. Because it was designed to allow for clear and crisp sounds even during hard strumming sessions, this guitar is great for performances. It really shines when played with a band as it will stand out on its own but also does incredibly well as a solo performance. If you are committed to learning how to play the guitar or have been playing for a while and are in the market for a more powerful instrument, then you may want to consider the Takamine GB7C. When paired with a high-quality amp, it offers you complete control over your sound and can be played incredibly loudly, which is sure to make you stand out. Buying a high-quality amp, strap, picks, capo, cables, and gig bag or case is necessary when you invest in the Takamine GB7C. Since this guitar doesn’t ship with any of these accessories, you will need to invest in them to keep your guitar safe when on the road and ensure that you can enjoy the best sound quality. You may want to invest in higher-quality strings. The stock strings on the Takamine GB7C are fine for beginners but more advanced guitarists are likely to get frustrated when they sound a little muddled and aren’t as clear as desired. One thing that really sets this guitar apart from other similar options is that it has such a rich, full sound. It’s known for having a deep and balanced tone, thanks to the rosewood used in its construction. Additionally, the dreadnought style offers incredible protection and volume. Not only is this sound perfect for beginners who are just finding themselves as musicians but allows more advanced players to show off and wow their crowds. The Palathetic pickup is designed with six piezo-electric elements. These elements actually penetrate the bridge plate, bridge, and soundboard so that they are in contact with the saddle, linking them to the string. Because of this connection, musicians can enjoy an incredibly rich harmonic sound that is complete and accurate no matter how hard or softly they strum the strings. 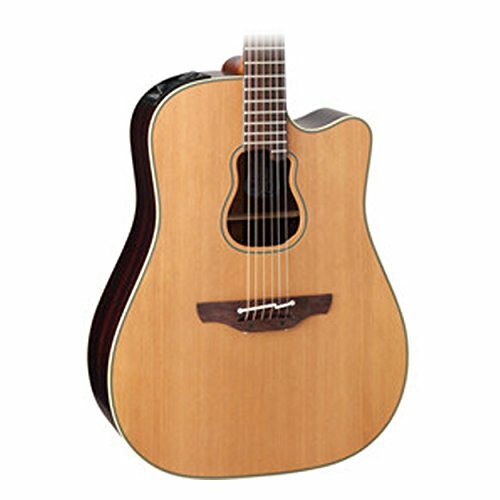 The Takamine GB7C may not be for everyone and if you are looking for another option to consider, then you may want to look at the Taylor 214ce 200 Series. 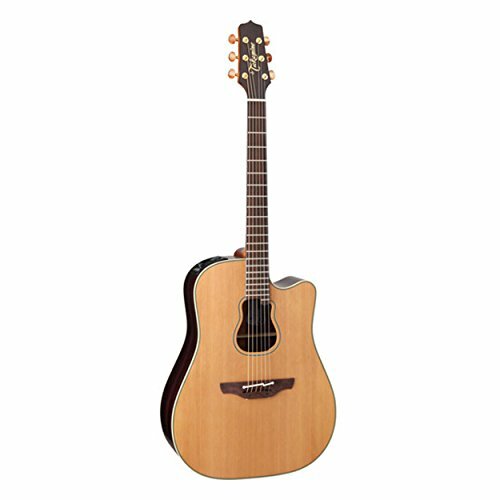 This acoustic guitar looks similar to the Takamine, but uses Koa on the sides and back. The resulting sound is a little different and the lower price tag may appeal to beginners who aren’t quite sure if playing the guitar is the absolute right move for them. If you want to stick with a Takamine, then consider the GD51CE-NAT. This guitar has the same great built-in tuner and preamp system but doesn’t quite have the same power as the Takamine GB7C. 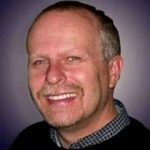 It’s a much better budget option for new guitarists and is a great choice if a church needs to buy more than one guitar for their praise band. Overall, even though this guitar is a little pricey for some people, it offers unparalleled power and sound quality, making it a great option for live performances. It’s incredibly easy to play on, which means that it is ideal for beginners as well as for more advanced musicians. When taken care of correctly, it can last beginners as they improve their skills and advanced guitarists will love the control and sound quality of this powerful guitar. It’s perfect for playing at home or in front of a large group on Sunday morning. The Takamine GB7C is hands-down one of the best guitars that Takamine has to offer. If you are able to pay the high price tag and want to invest in your future as a musician, then this is the guitar to consider.